Equestria Daily - MLP Stuff! 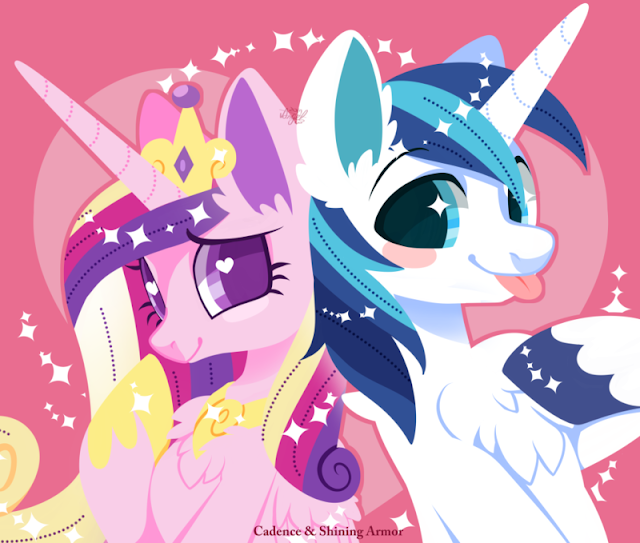 : Shining and Cadence Day - Let the Love Flow! Shining and Cadence Day - Let the Love Flow! It's Valentine's Day so there is no better way to celebrate than with FiM's original royal wedding couple Shining and Cadence! Who knew these two would would revolve from such skeptical beginnings to being well loved characters that still appear in the show today? So in celebration expect a number of Shining and Cadence based comics, art, media and other goodies sprinkled throughout the day! You still have a little time to send in your material to help with today though by sending it all to [email protected] with S&C Day in the subject line followed by what sort of media you are sending in. We hope you all enjoy today's festivities! Editorial: Love, and Friendship, are in the Air!